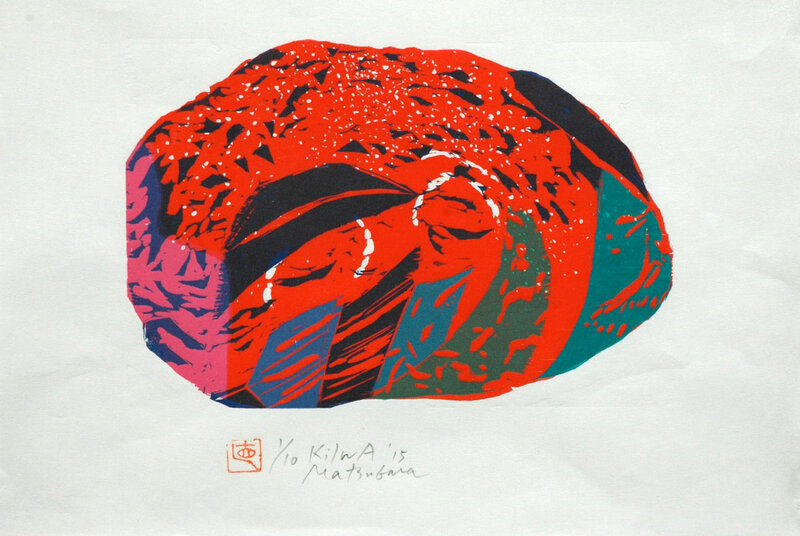 Naoko Matsubara is a printmaker. She received her BFA in 1960 from the Kyoto Academy of Fine Arts in Kyoto, and an MFA as Fulbright Scholar at the Carnegie Mellon University in Pittsburgh in 1962. In the same year, she was a ‘Special Invited Student’ to the Royal College of Art in London, England. 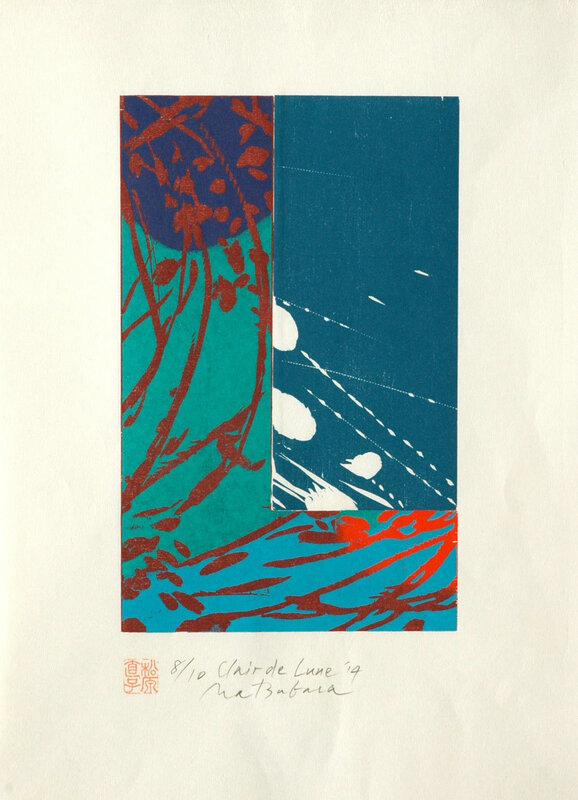 Over the past sixty years she has produced a very large number of woodcuts. They vary considerably according to period and theme; and also in their use of many different ways which she has developed herself to incorporate colors. And she has also produced many large size works such as 200 x100 cm or 130x 250 cm. Since 1960, Matsubara has had over 80 solo shows, among them at: The Pforzheim Museum, Germany (1968), The Hamilton Museum, Canada (1979), The Vancouver Museum, Canada (1990), The Oriental Museum, Durham, England (1992), The Royal Ontario Museum, Canada (2003), The Canadian Embassy Gallery, Tokyo, Japan (2007), The Carnegie Museum of Art, USA (2009), Staatliche zu Berlin, Germany (2016). * Matsubara has published over 20 books and portfolios of her work, including most recently Tokonoma portfolio (Old School Press, Bath, England), Tibetan Sky (Bayeux Arts, Canada), The Tales of Days Gone By (Alis International, Tokyo). Public collections owning Matsubara’s work include: Albertina Vienna, Art Institute of Chicago, British Museum, The Museum of Fine Arts, Boston, Cincinnati Art Museum, Haifa Museum, Israel, The National Museums of Modern Art, Kyoto and Tokyo, The Royal Ontario Museum, The White House, The New South Wales Museum, Australia, The University Museums, Harvard, Yale, Princeton and many others. 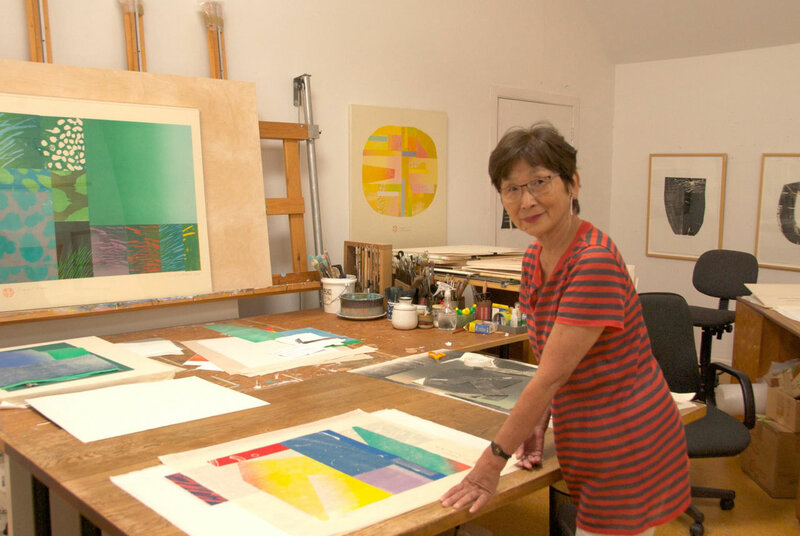 In 2009, Matsubara received an Honorary Doctor of Fine Arts from Chatham University in Pittsburgh.